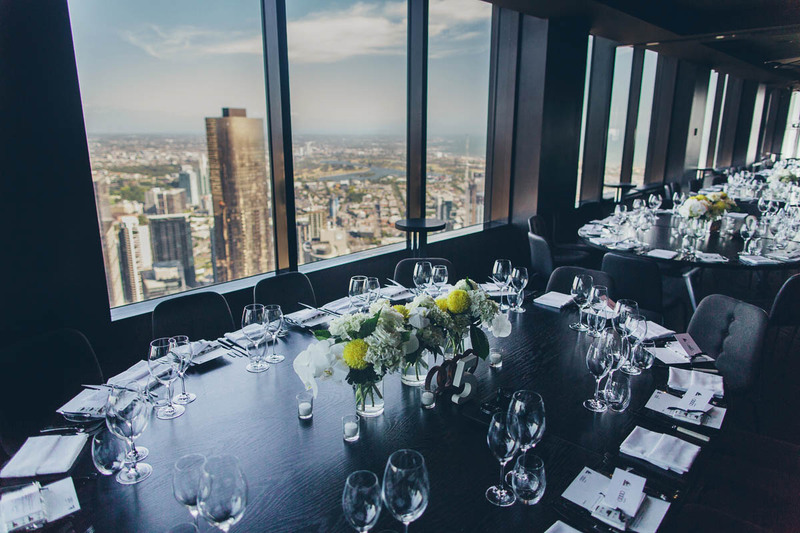 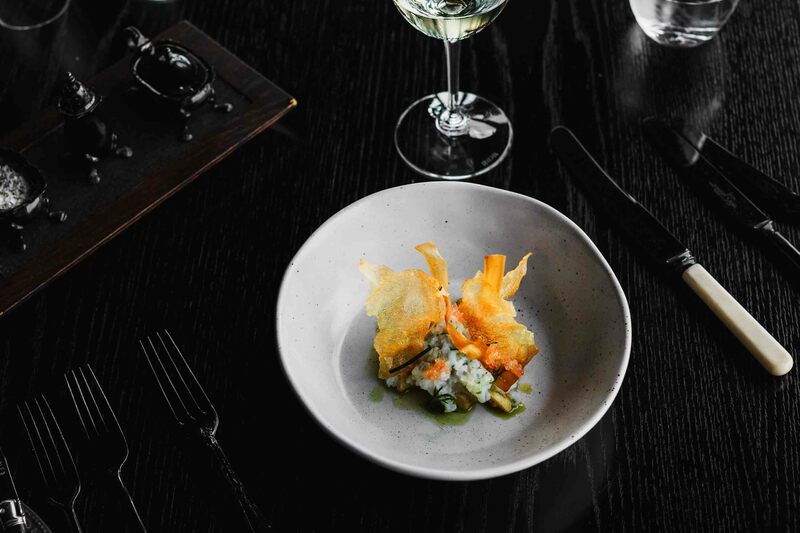 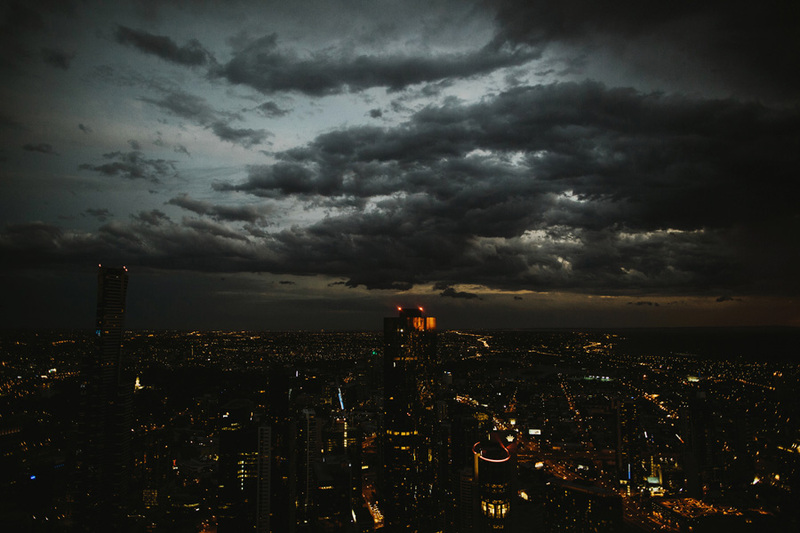 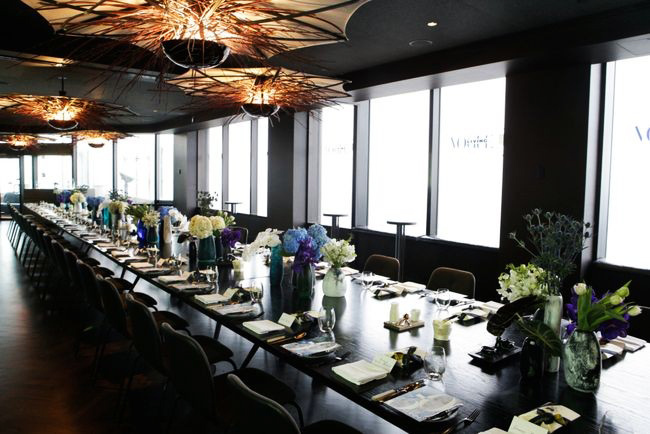 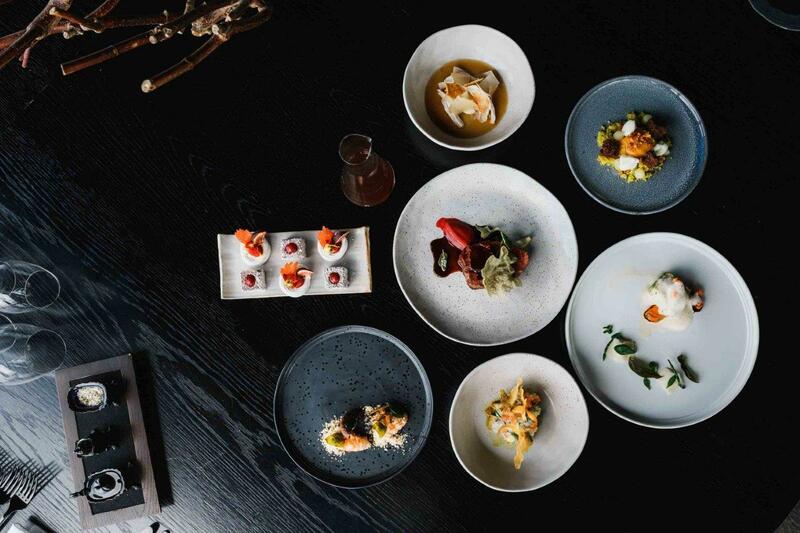 Vue de monde is a dedicated private dining and event space located on the 55th floor of Melbourne’s iconic Rialto tower in the heart of Melbourne’s CBD. 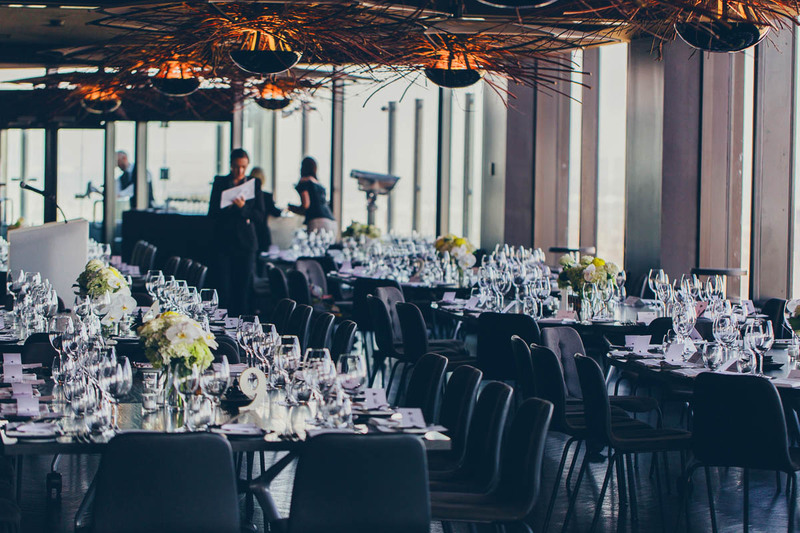 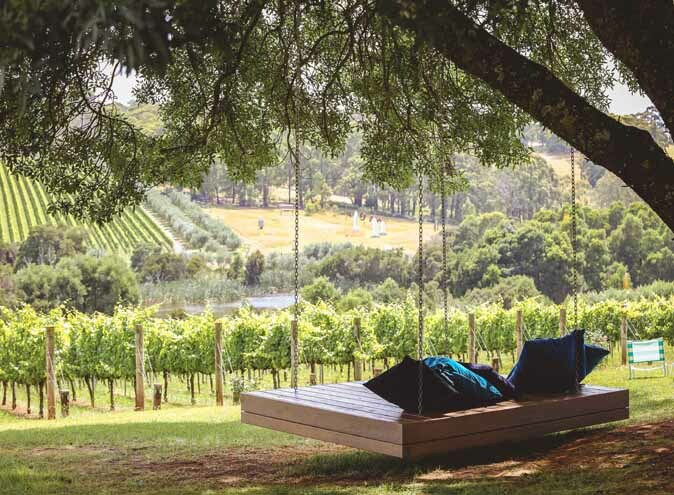 Superb views extend over the Yarra River to Albert Park lake and beyond to Port Phillip Bay providing a changing landscape from dawn till dusk and the perfect back drop for any occasion. 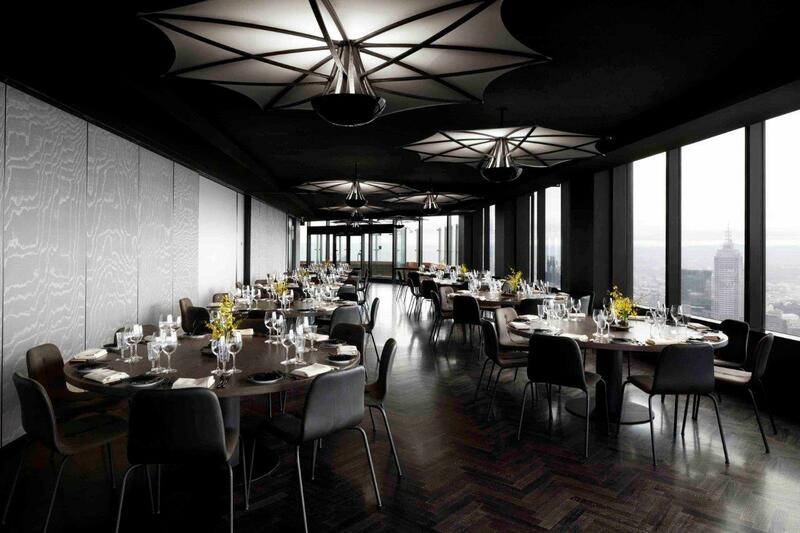 Offering a rare combination of scale and sophistication, this flexible space has the ability to cater for a variety of events, from corporate lunches to opulent weddings and cocktail parties ranging in numbers from 10 to 230 guests. 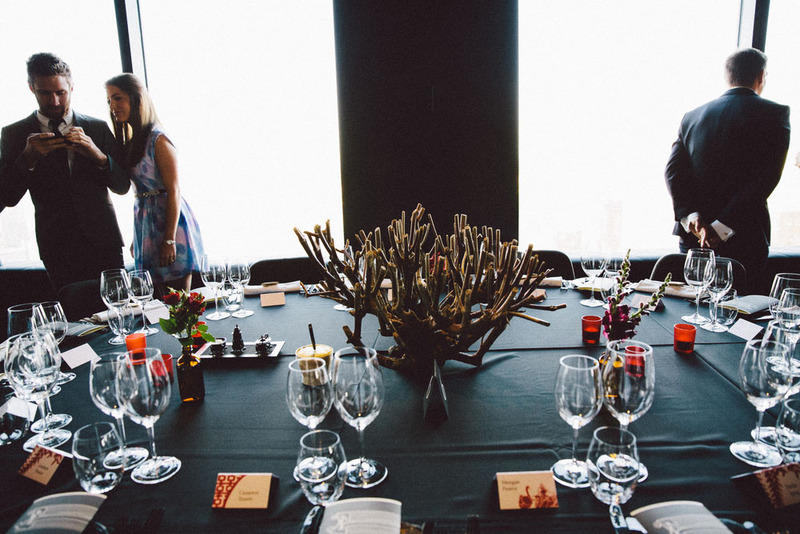 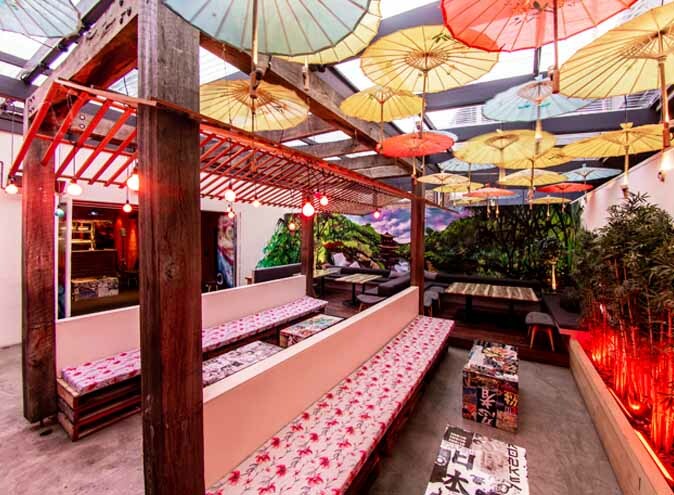 As a premium event space, their mission is to offer restaurant quality with professional service. 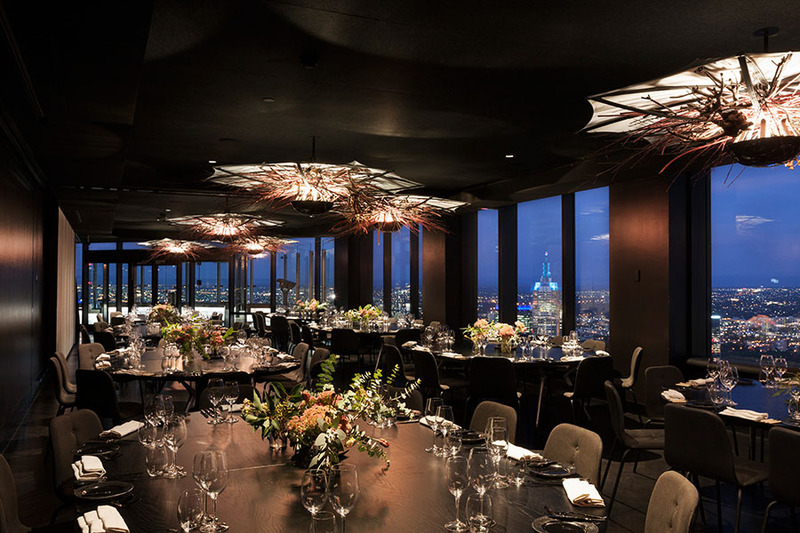 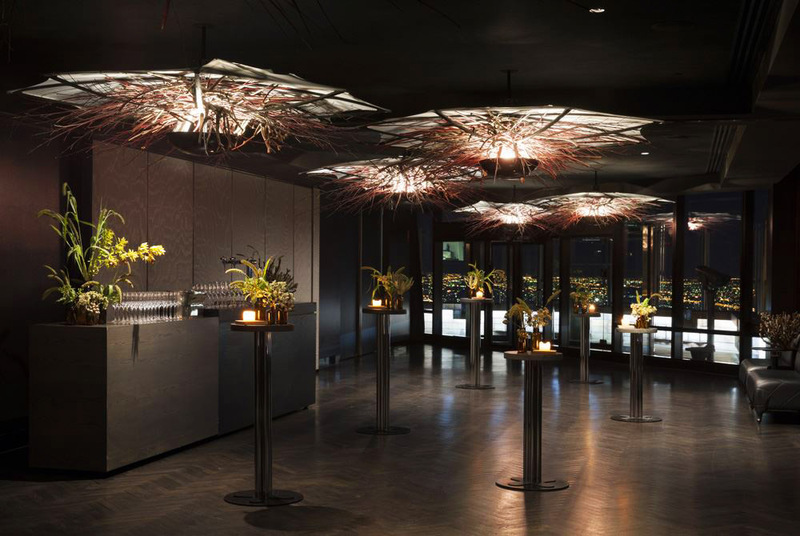 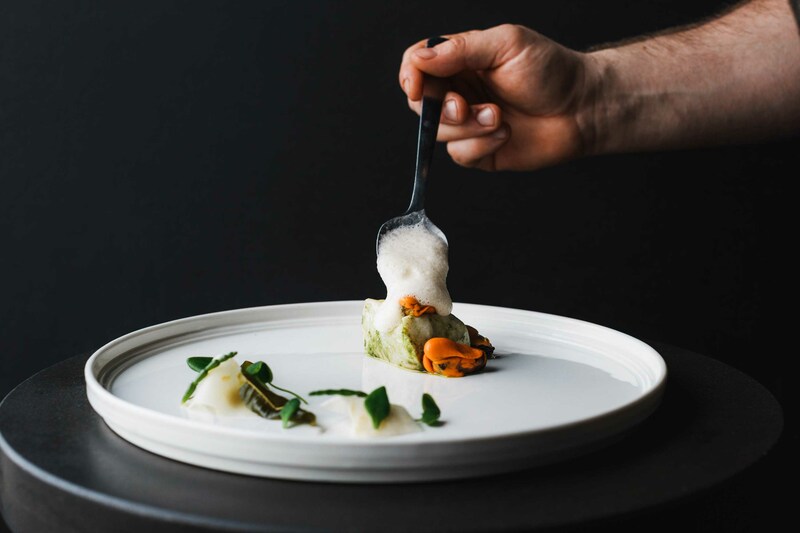 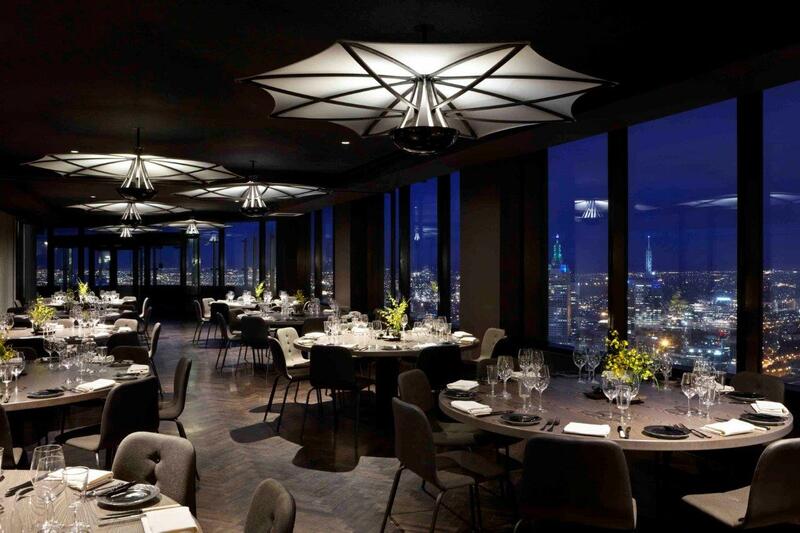 The food offering is shaped by the same vision for which Vue de monde is renowned for. 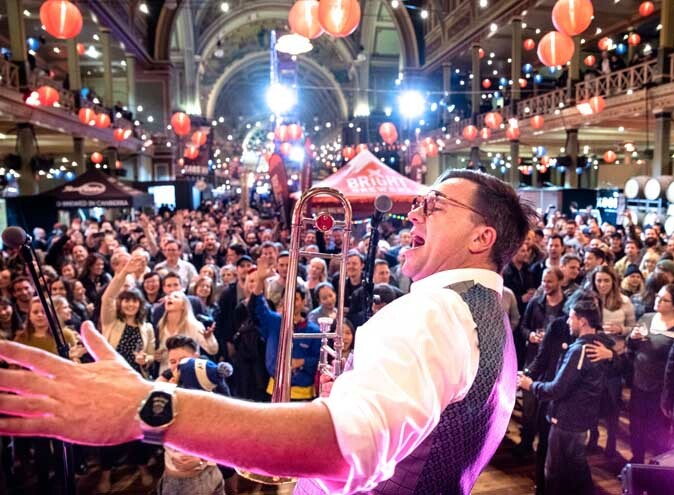 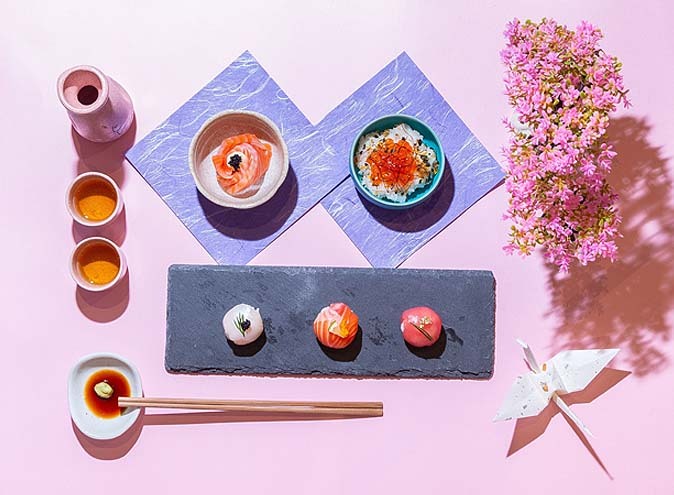 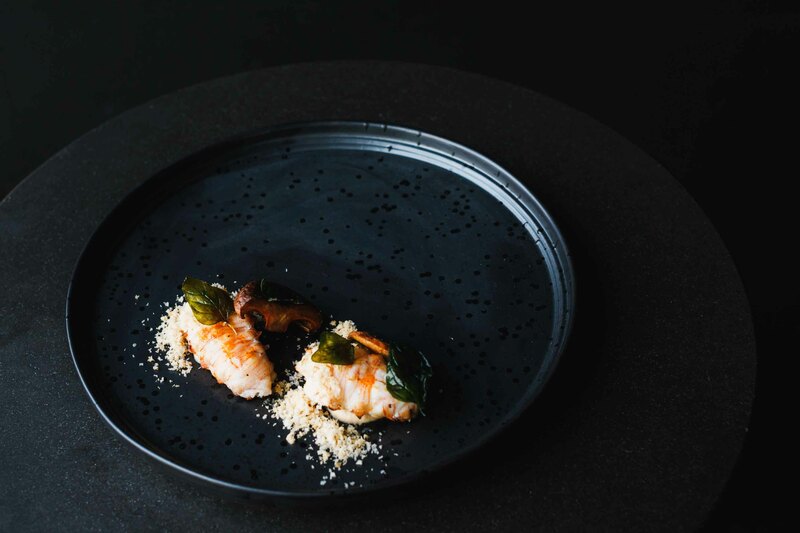 Menus are tailored to each event and include degustation style, gastronomic menus for up to 125 seated guests and cocktail and canapé offerings with a twist.